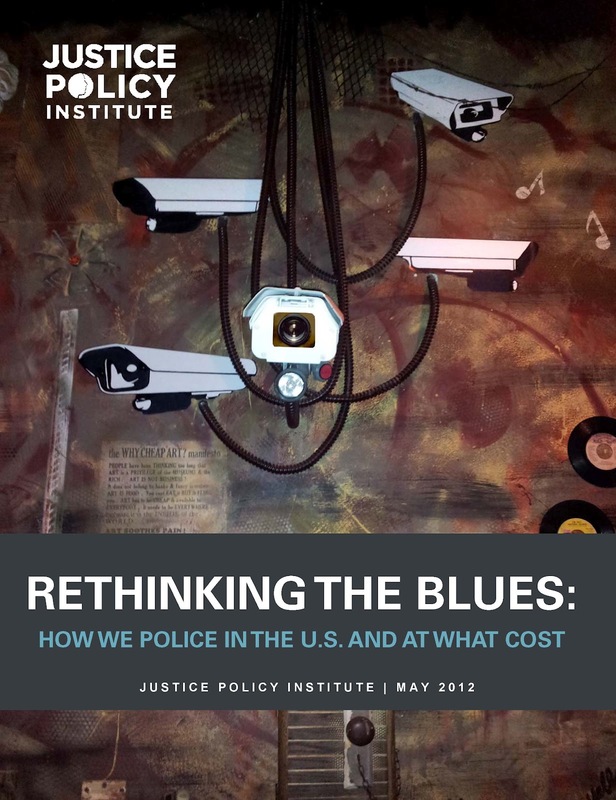 Retired Police Chief David Couper reached out to JPI following the release of “Rethinking the Blues: How we police in the U.S. and at what cost.” As a law enforcement trainer and writer on policing, Chief Couper shared with us his thoughts on what’s needed to improve law enforcement efforts in the U.S. I have been a member of the clergy for almost 20 years. Prior to that, I was chief of the Madison (Wisc.) Police Department. At the time I retired, we were acclaimed as one of the best police departments in the nation and that year I received the national police leadership award from the Police Executive Research Forum. 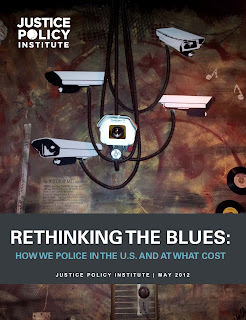 But I couldn’t stop myself from thinking about police on a national basis as my interest in peace and justice went beyond Madison and into the world. 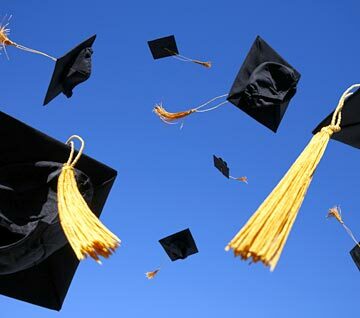 It’s college graduation season and new graduates are ready to tackle our teetering job market. For many college students, a job in the criminal justice field is an attractive career choice; certain specialties in particular continue to grow. For example, interest in forensics, computer security and homeland security seems ever expanding. A 2011 article in U.S. News even names homeland security as one of nine "hot college majors" with over 300 programs created in the field since 9/11. How is the criminal justice field changing, though, and what do these changes mean for students? Those looking to start out in criminal justice today will likely face a different landscape than the criminal justice professionals before them, with different requirements and expectations. Four-year bachelor’s programs in criminal justice and even Master’s degrees are becoming more and more common as students look to secure positions in the criminal justice field. Those already working in the field are seeing an increased emphasis on evidence-based practice, community-based corrections and technology. In Washington, D.C., a robust and holistic employment program for youth is key to building positive life outcomes for the District’s youth and creating safer communities. 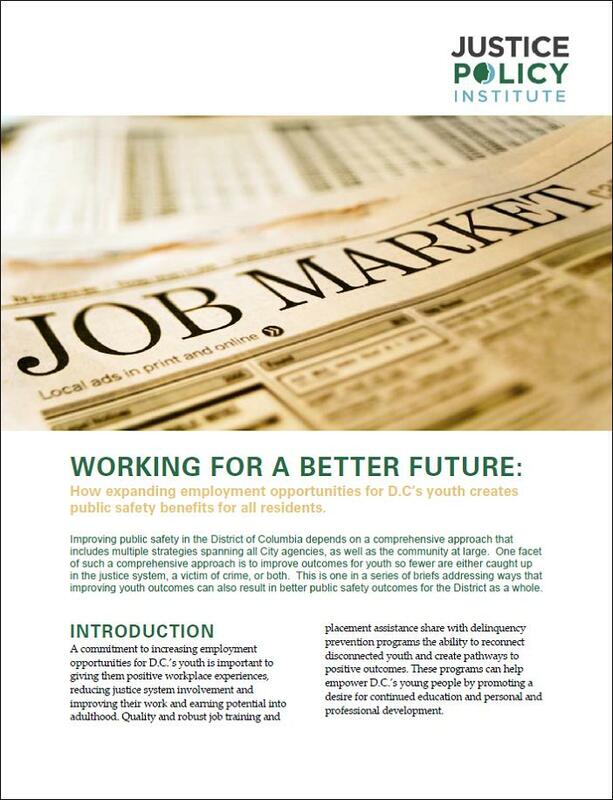 In our most recent research brief, Working for a Better Future: How expanding employment opportunities for D.C.’s youth creates public safety benefits for all residents, the Justice Policy Institute (JPI) describes how youth unemployment in D.C. ranges between 1.6 and 2.3 times the national average and how increases in youth employment rates have been linked to decreased rates of arrest in the city. 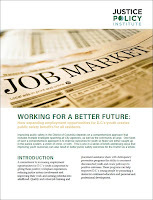 Having a job has been shown to be a “protective factor” against crime and arrests for youth. Jobs help young people gain experience in the work world and effective job assistance programs provide youth with mentoring, life skills training, and a connection to their community.